Update 9/19: This issue was discovered and reported by both Morphisec and Cisco in separate in-field cases and reported separately to Avast. Update 9/19: There has been some confusion on how the DGA domains resolve. 2. Request the A records for the domain. 4. The true destination IP is then computed and connected to. To control the connections Talos has to create two IPs such that they can be fed into the application to resolve to the sinkhole IP. 32 bits of random data were generated. 16 bits of that were combined with 16 bits of the destination address to create the first A record. The remaining 16 random bits were combined with the remaining bits of the destination address to create the second A record. The resulting two A record IP addresses were then assigned to the DNS configuration. There was no analysis performed on the selected addresses beyond that they could be combined to create the destination. Supply chain attacks are a very effective way to distribute malicious software into target organizations. This is because with supply chain attacks, the attackers are relying on the trust relationship between a manufacturer or supplier and a customer. This trust relationship is then abused to attack organizations and individuals and may be performed for a number of different reasons. The Nyetya worm that was released into the wild earlier in 2017 showed just how potent these types of attacks can be. Frequently, as with Nyetya, the initial infection vector can remain elusive for quite some time. Luckily with tools like AMP the additional visibility can usually help direct attention to the initial vector. Talos recently observed a case where the download servers used by software vendor to distribute a legitimate software package were leveraged to deliver malware to unsuspecting victims. 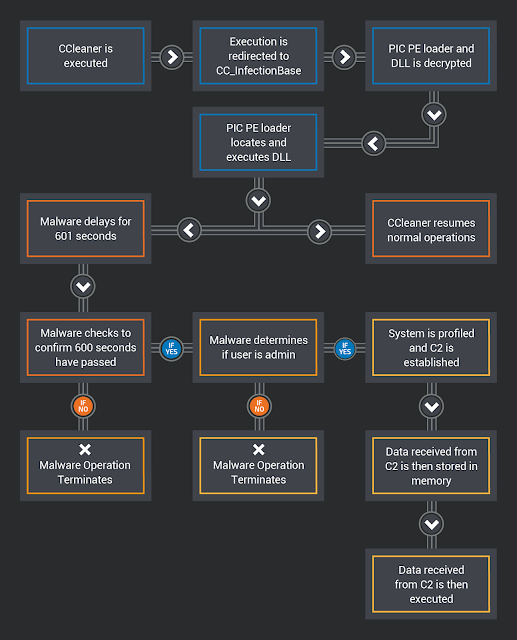 For a period of time, the legitimate signed version of CCleaner 5.33 being distributed by Avast also contained a multi-stage malware payload that rode on top of the installation of CCleaner. CCleaner boasted over 2 billion total downloads by November of 2016 with a growth rate of 5 million additional users per week. Given the potential damage that could be caused by a network of infected computers even a tiny fraction of this size we decided to move quickly. On September 13, 2017 Cisco Talos immediately notified Avast of our findings so that they could initiate appropriate response activities. The following sections will discuss the specific details regarding this attack. 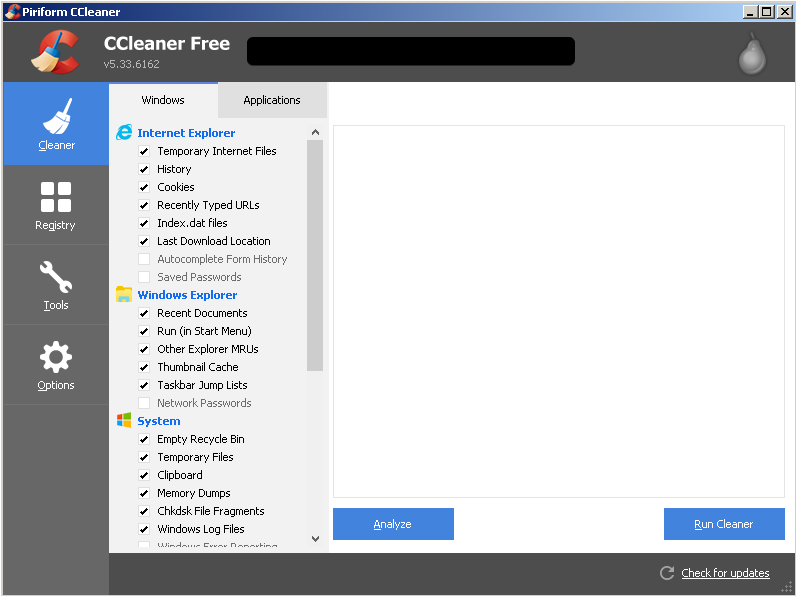 CCleaner is an application that allows users to perform routine maintenance on their systems. It includes functionality such as cleaning of temporary files, analyzing the system to determine ways in which performance can be optimized and provides a more streamlined way to manage installed applications. On September 13, 2017 while conducting customer beta testing of our new exploit detection technology, Cisco Talos identified a specific executable which was triggering our advanced malware protection systems. Upon closer inspection, the executable in question was the installer for CCleaner v5.33, which was being delivered to endpoints by the legitimate CCleaner download servers. Talos began initial analysis to determine what was causing this technology to flag CCleaner. We identified that even though the downloaded installation executable was signed using a valid digital signature issued to Piriform, CCleaner was not the only application that came with the download. During the installation of CCleaner 5.33, the 32-bit CCleaner binary that was included also contained a malicious payload that featured a Domain Generation Algorithm (DGA) as well as hardcoded Command and Control (C2) functionality. We confirmed that this malicious version of CCleaner was being hosted directly on CCleaner's download server as recently as September 11, 2017. In reviewing the Version History page on the CCleaner download site, it appears that the affected version (5.33) was released on August 15, 2017. On September 12, 2017 version 5.34 was released. 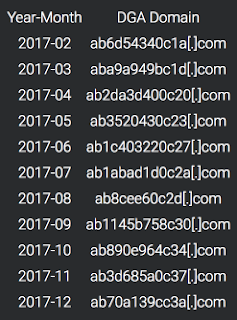 The version containing the malicious payload (5.33) was being distributed between these dates. This version was signed using a valid certificate that was issued to Piriform Ltd by Symantec and is valid through 10/10/2018. Piriform was the company that Avast recently acquired and was the original company who developed the CCleaner software application. A second sample associated with this threat was discovered. This second sample was also signed using a valid digital certificate, however the signing timestamp was approximately 15 minutes after the initial sample was signed. The presence of a valid digital signature on the malicious CCleaner binary may be indicative of a larger issue that resulted in portions of the development or signing process being compromised. Ideally this certificate should be revoked and untrusted moving forward. 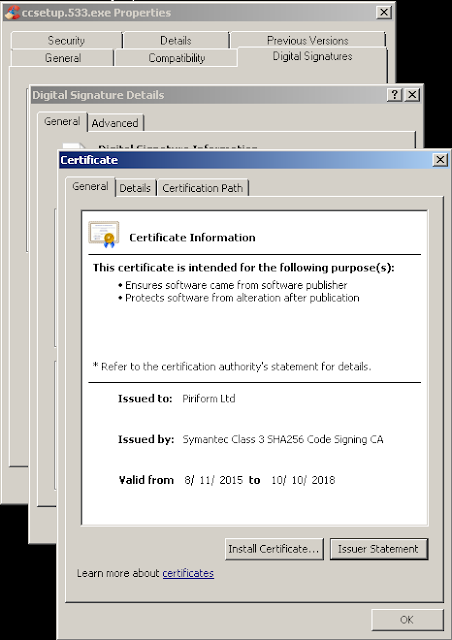 When generating a new cert care must be taken to ensure attackers have no foothold within the environment with which to compromise the new certificate. Only the incident response process can provide details regarding the scope of this issue and how to best address it. Given the presence of this compilation artifact as well as the fact that the binary was digitally signed using a valid certificate issued to the software developer, it is likely that an external attacker compromised a portion of their development or build environment and leveraged that access to insert malware into the CCleaner build that was released and hosted by the organization. It is also possible that an insider with access to either the development or build environments within the organization intentionally included the malicious code or could have had an account (or similar) compromised which allowed an attacker to include the code. 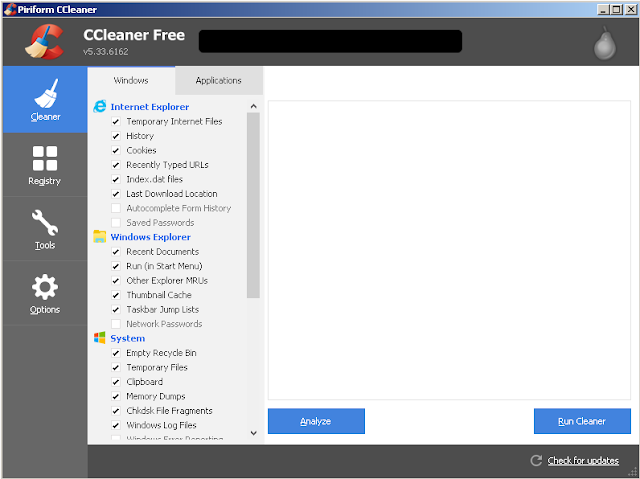 It is also important to note that while previous versions of the CCleaner installer are currently still available on the download server, the version containing the malicious payloads has been removed and is no longer available. Within the 32-bit CCleaner v5.33 binary included with the legitimate CCleaner v5.33 installer, '__scrt_get_dyn_tls_init_callback' was modified to call to the code at CC_InfectionBase(0x0040102C). This was done to redirect code execution flow within the CCleaner binary to the malicious code prior to continuing with the normal CCleaner operations. The code that is called is responsible for decrypting data which contains the two stages of the malicious payload, a PIC (Position Independent Code) PE loader as well as a DLL file that effectively functions as the malware payload. The malware author had tried to reduce the detection of the malicious DLL by ensuring the IMAGE_DOS_HEADER was zeroed out, suggesting this attacker was trying to remain under the radar to normal detection techniques. The binary then creates an executable heap using HeapCreate(HEAP_CREATE_ENABLE_EXECUTE,0,0). Space is then allocated to this new heap which is where the contents of the decrypted data containing the malware is copied. As the data is copied to the heap, the source data is erased. The PE loader is then called and begins its operation. Once the infection process has been initiated, the binary erases the memory regions that previously contained the PE loader and the DLL file, frees the previously allocated memory, destroys the heap and continues on with normal CCleaner operations. The PE loader utilizes position independent coding practices in order to locate the DLL file within memory. It then maps the DLL into executable memory, calls the DLLEntryPoint to begin execution of the DLL being loaded and the CCleaner binary continues as normal. Once this occurs the malware begins its full execution, following the process outlined in the following sections. The DLL file (CBkdr.dll) was modified in an attempt to evade detection and had the IMAGE_DOS_HEADER zeroed out. The DLLEntryPoint creates an execution thread so that control can be returned to the loader. This thread is responsible for calling CCBkdr_GetShellcodeFromC2AndCall. It also sets up a Return Oriented Programming (ROP) chain that is used to deallocate the memory associated with the DLL and exit the thread. If the value stored in TCID is in the future, the malware will also terminate execution. The malware then checks to determine the privileges assigned to the user running on the system. If the current user running the malicious process is not an administrator the malware will terminate execution. If this value does not exist, the malware creates it using '((rand()*rand() ^ GetTickCount())'. Once the system information has been collected, it is encrypted and then encoded using modified Base64. The malware then establishes a Command and Control (C2) channel as described in the following section. It is unknown what the purpose of this IP address is at this time, as the malware does not appear to make use of it during subsequent operations. In any event, once the previously mentioned system information has been collected and prepared for transmission to the C2 server, the malware will then attempt to transmit it using an HTTPS POST request to 216[.]126[.]225[.]148. The HTTPS communications leverage a hardcoded HTTP Host header that is set to speccy[.]piriform[. ]com, a legitimate platform which is also created by Piriform for hardware monitoring. This could make dynamic analysis more difficult as the domain would appear to be legitimate and perhaps even expected depending on the victim infrastructure. The requests also leverage HTTPS but ignore all security errors as the server currently returns a self-signed SSL certificate that was issued to the subdomain defined in the Host header field. In cases where no response is received from the C2 server, the malware then fails back to a Domain Generation Algorithm (DGA) as described in the section 'Domain Generation Algorithm' of this post. Cisco Talos observed during analysis that the DGA domains had not been registered, so we registered and sinkholed them to prevent attackers from being able to use them for malicious purposes. The impact of this attack could be severe given the extremely high number of systems possibly affected. CCleaner claims to have over 2 billion downloads worldwide as of November 2016 and is reportedly adding new users at a rate of 5 million a week. If even a small fraction of those systems were compromised an attacker could use them for any number of malicious purposes. Affected systems need to be restored to a state before August 15, 2017 or reinstalled. Users should also update to the latest available version of CCleaner to avoid infection. At the time of this writing that is version 5.34. It is important to note that according to the CCleaner download page, the free version of CCleaner does not provide automated updates, so this might be a manual process for affected users. In analyzing DNS-based telemetry data related to this attack, Talos identified a significant number of systems making DNS requests attempting to resolve the domains associated with the aforementioned DGA domains. As these domains have never been registered, it is reasonable to conclude that the only conditions in which systems would be attempting to resolve the IP addresses associated with them is if they had been impacted by this malware. 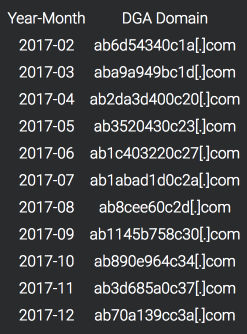 While most of the domains associated with this DGA have little to no request traffic associated with them, the domains related to the months of August and September (which correlates with when this threat was active in the wild) show significantly more activity. Note that in on September 1, 2017 it appears that the DNS activity shifted from the DGA domain previously used in August, to the one used in September, which matches the time-based DGA algorithm described in the "Domain Generation Algorithm" section of this blog post. After reaching out to Avast we noted that the server was taken down and became unavailable to already infected systems. As a result, we saw a significant increase in the amount of requests that were being directed at the failback DGA domains used by the malware. It is also worth noting that at the time of this post, antivirus detection for this threat remains very low (The detections are at 1/64 at the time of this writing). 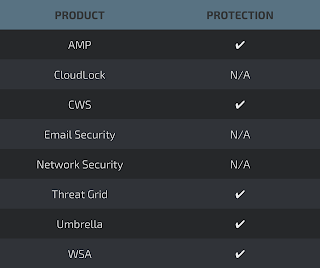 As part of our response to this threat, Cisco Talos has released comprehensive coverage to protect customers. Details related to this coverage can be found in the "Coverage" section of this post. This is a prime example of the extent that attackers are willing to go through in their attempt to distribute malware to organizations and individuals around the world. By exploiting the trust relationship between software vendors and the users of their software, attackers can benefit from users' inherent trust in the files and web servers used to distribute updates. In many organizations data received from commonly software vendors rarely receives the same level of scrutiny as that which is applied to what is perceived as untrusted sources. Attackers have shown that they are willing to leverage this trust to distribute malware while remaining undetected. Cisco Talos continues to monitor all aspects of the threat landscape to quickly identify new and innovative techniques used by attackers to target organizations and individuals around the world. The following ClamAV signatures have been released to detect this threat: 6336251, 6336252. I have the 5.34 version of CCleaner installed on my computer and i had probably the 5.33 version before. My computer is still vulnerable or not ? What can I do to ensure my computer is clean ? This isn't a vulnerability. The 5.33 installer had malware included with it during the time window indicated in the blog. If you upgraded from 5.33 which was installed in the above window you should recover from a backup prior to that version. Thanks for this write up, I really appreciate how you made a pretty complex thing approachable and easy to read. I think a major problem with cyber security articles is they are either too lite or too technical, this article did a great job at striking a balance. As your average data analyst with no feed in dev or security it gave me a great overview. thank you. Is it possible for antivirus software to "clean the malware out" or is reinstalling the system necessary? What about using Cisco's ClamAV itself since it seems like the first one to have actually gotten updated with the right signature patterns? Immunet uses ClamAV, both of them are updated by Talos. Are Amp and Immunet the same thing? No but they share some detection technologies. Amp is the enterprise tool that has additional features. Will simply uninstalling remove this as well? Uninstalling the tool will not remove the malware. To remove the malware you should restore from a previous backup that is known to be clean or try a virus removal tool. That's an impressive amount of reverse engineering that you did in only 5 days. I'm just curious, how did you determine the variable names used in the structures? Did this nasty hacker go through all the trouble of blanking headers and encryption and then not strip debugger information from his object files?? It only took the reversing team 2 days to reverse the malware. There were no symbols of debugger info contained in the binary. Just good old reverse engineering on our end. So only 32-bit version was malicious? 5.33 64-bit was fine? I have really enjoyed reading your blog posts. This information is impressive. I am inspired with your post.. I hope you post again soon.your post is very helpful for me. photos very nice. 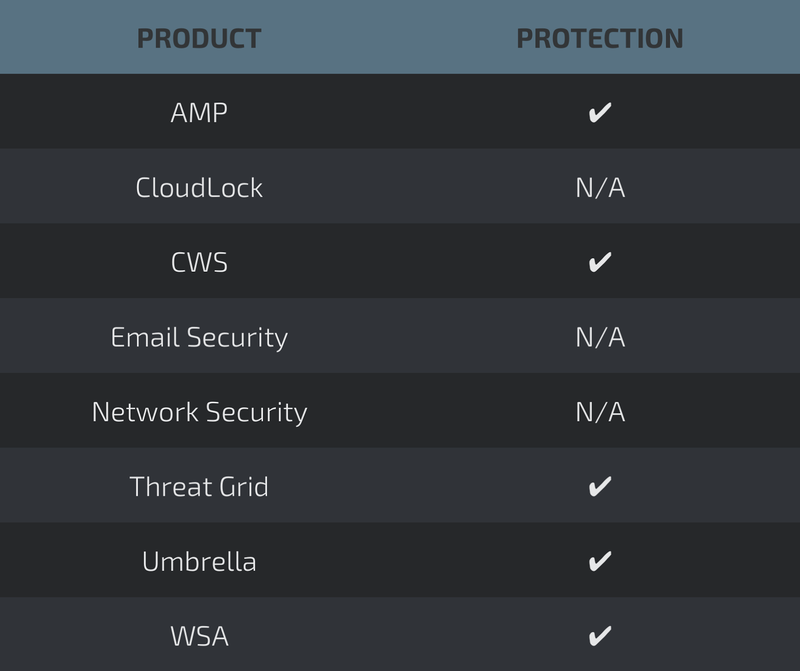 We were lucky that I did not whitelist the threat as safe becasue at the time Webroot had a problem with mis-categorizing legitimate software as malware. This threat was found on a server and since we regularly used CCleaner on desktops but not servers, I was suspicious of it and contacted Webroot support about it as well. I am going to be posting an article on our website about this shortly. Is the process of installing ccleaner alone enough to execute the malicious payload or would the 32bit executable of ccleaner.exe itself have to be executed post-installation? The installation alone was enough.